The Watford Food Bank can assist families in crisis by working with local agencies. Food Bank Vouchers can be exchanged for a minimum of three days of emergency food. See here to find out how to get vouchers. When you have a foodbank voucher, there are 5 locations in Watford to redeem the vouchers. See here for locations and opening times. If you are able to give help via donations, or by volunteering, please see here. Contact the Watford Food Bank here: info@watford.foodbank.org.uk for more information. 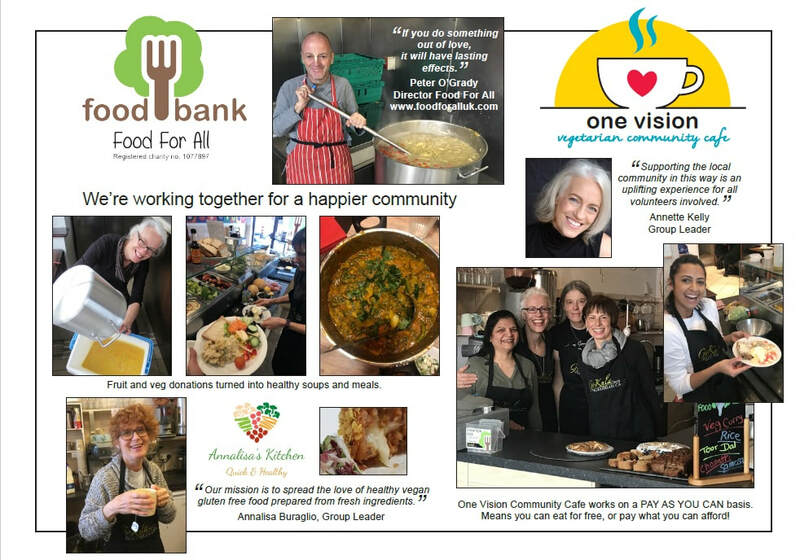 One Vision Café is a vegetarian community café which provides FREE food on Mondays and it is run on a Pay As You Can basis from Tuesday to Saturday. The café is situated at 65 Market Street, Watford, and also runs events and courses for the community.